This is the twentieth category of the 10th Annual AFT Television Awards, my personal choices for the best in television during the 2015-2016 season. Finalists and semi-finalists are included to recognize more of the impressive work done on television today. Nominees are pictured in the order I’ve ranked them. Finalists: Orphan Black moved on from its season three premise to an even more chilling storyline that brought back the original clone not seen alive since the show’s pilot. Mr. Robot was an indescribably mesmerizing look at the corruption of financial institutions that enthralled repeatedly. Billions created two magnificent central characters at war and built a superb show around them. Humans was a quiet British import on a popular American network that managed to craft a fresh approach to the subject of artificial intelligence. Game of Thrones charged into its sixth seasons with a commitment to miraculous moments and telling a truly tremendous tale. 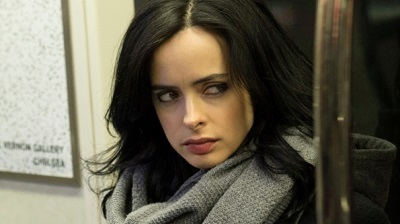 Jessica Jones was the darkest offering Marvel has made yet, with an exceptional premise and great writing, acting, and direction to make it absolutely vital watching. The Affair gambled on a new format that paid off very well, eliciting excellence in all elements. Ray Donovan dealt with guilt and religion on a whole new level in its latest chapter of fixer family drama. Better Call Saul made a bold move not to focus entirely on its protagonist and showed its ability to intriguing all on its own without constantly relying on the show that spun it off. Narcos was completely captivating from its first moment, making the story of Pablo Escobar into ten mini-movies, each more enticing than the next. Its subtitles only made it more impactful and engaging.